In an era where phone and computer screens have begun to play a central role in our daily lives, many have started to wonder what the long term effects of extended exposure to them might be. For those that work directly with computers in their full time positions, and especially for those with hobbies that require a lot of screen time, this is of particular concern. Some have begun to download specific apps or software that decrease what is thought to be the more harmful kinds of light in computers. Others have turned to more innovative technology, such as that found in prescription gaming glasses. These eyeglasses are starting to become more and more popular among gamers and non-gamers alike. We scoured the top eyewear brands to find you the best and most popular prescription gaming glasses offered, and summed up why we like each so much here. 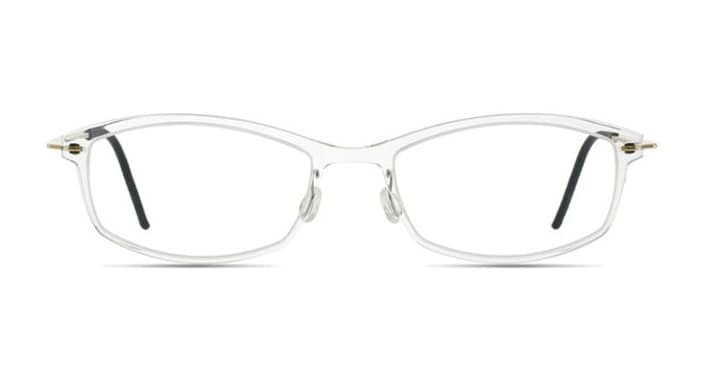 One of the more popular frames sold by Gunnar Optiks, the Haus Advanced Computer Eyewear frames add a modern structure to the traditional model of gaming glasses. These rectangular frames are made from acetate, which ensures an extremely lightweight and comfortable fit atop your nose. 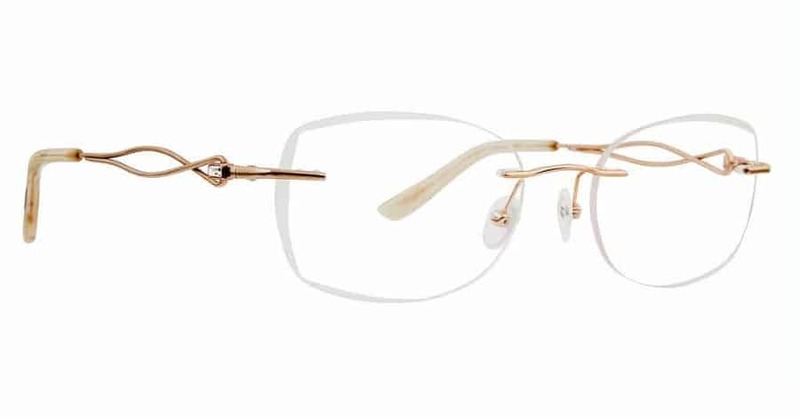 The gold detail on each side adds a classy surprise to an already sleek frame. 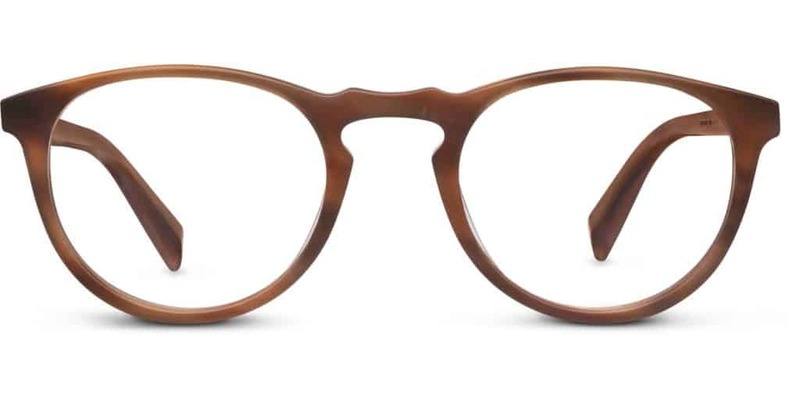 They are also available in a flattering Tortoise /Amber color. For a more retro, vibrant look, consider the thicker-framed Gunnar Intercept 24K pair. 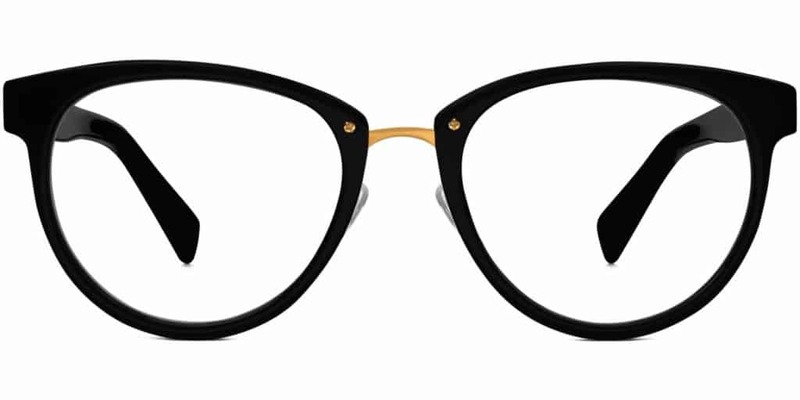 These plastic frames channel an oversized, younger look, and come in 3 color options. We feature the Tortoise / Amber option, but all are accompanied by delicate gold details on the hinges and badges. One of Gunnar’s newer frames on the market, those going for a more Mod, classic style need look no further than this pair. 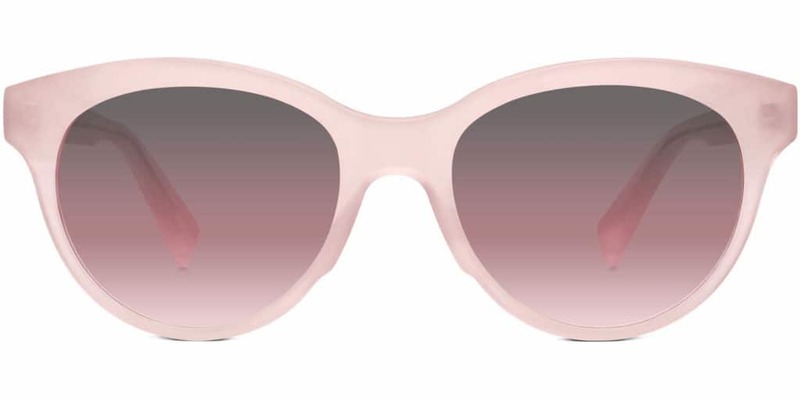 Aptly named “Mod,” these are the perfect pick for a more timeless, or even sporty look. The Mod came about from a collaboration with the popular Menswear design label, Publish Brand. While the default pair comes equipped with the patented amber lens, we wanted to showcase the edgier green lens option. Similar to the Mod model, the Gunner Cypher glasses aim for that classic, Mad Men-esque feel. These, however, come with a lower rim made of stainless steel. Combined with the thicker upper rim made of acetate, these oval frames provide an airy, mature look perfect for both men and women. They also come with the option of clear, Crystalline lenses. Through a collaboration with the gamer behemoth, Razer, The Gunnar RPG eyeglasses channel their signature bright green brand and incorporate it with an asymmetrical pop of color. The color palette adds character and style to a hearty and durable metal frame. It’s guaranteed to be long-lasting and strong, yet malleable and even adjustable! The Gunnar Emissary frames are closer to the original style of gaming glasses. This pair goes for a more sleek, streamlined look, offering a crisp, lightweight feel for your most intense gaming sessions. Another one of Gunnar’s newer pairs, the Titan brings a perfect, modern spin to traditional gaming eyewear. With lenses so dark, you’d think they were sunglasses, these prescription Aviators give off one of the trendier vibes in Gunnar’s collection. They are also made of metal, and are likely to withstand the toughest wear and tear while staying beautifully intact. larger fit on the face. Equipped with a spring hinge, they offer a mature and stable look that’s sure to fit firmly and stably. When discussing eye health, it’s important to understand how light travels and interacts with the human eye. Arguably the most familiar type of harmful light is ultraviolet light, which is produced by the sun, and which contributes to both skin and eye health issues. 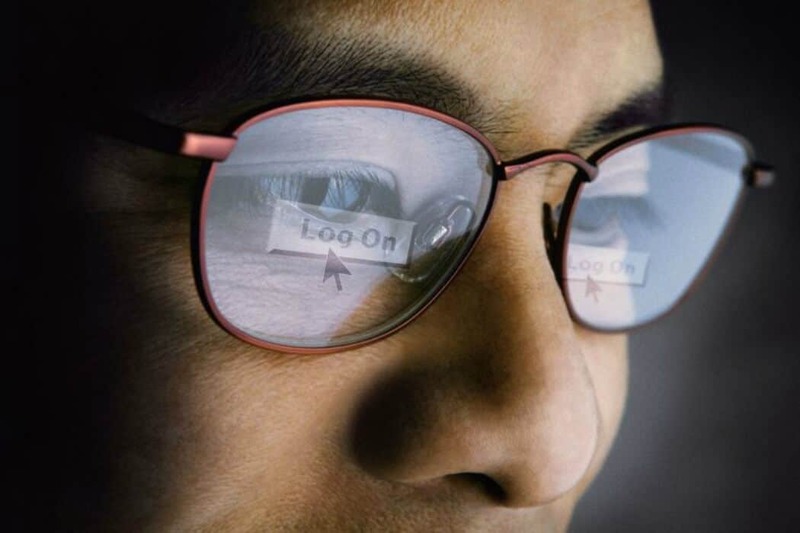 UV rays are not visible to the human eye, however, and do not come from computer screens. Visible light, or, light that the eye can see, does come from both the sun and from computer screens. Blue light, more specifically, is one of the stronger rays of light that emanate from computer, phone, and TV screens, and is of particular concern when it comes to eye health. Visible light is made up of different electromagnetic particles, ranging from 400 to 700 nm in wavelength. The shorter the wavelength, the higher the energy levels of each particle. Blue light particles fall within the 400 nm wavelength range, and are therefore those with the highest energy levels. It happens to also be the only kind of visible light that fully reaches the retina of the eye. As a result, recent studies have suggested that long term exposure to blue light can lead to eye health issues. Some eye specialists propose that it can be as harmful long term as UV rays are to the skin. Moderate exposure to blue light, in and of itself, is not necessarily a health hazard. People are exposed to blue light in its natural form when they walk outside and encounter the sun. Still, this type of exposure is naturally limited. These days, thanks to the blue light coming from the different screens that constantly surround us, that natural limit is quickly passed, becoming potentially dangerous. While there is not enough scientific evidence yet to confirm these potential risks, there are known short-term consequences that come from extended exposure to blue light. In fact, almost 70% of American adults experience some variation of eye strain or discomfort. This includes conditions such as dry eyes, headaches, and can even contribute to trouble sleeping. Since blue light from electronic screens is similar to that found in sunlight, it can disrupt the naturally occurring levels of melatonin in our bodies, throwing off our ability to fall asleep in the evenings. Gamers are especially vulnerable to these shorter-term pains caused by overexposure to blue light. Why should a leisure activity or hobby act as the source of physical discomfort? That’s why a growing number of gamers have turned to purchasing prescription and non-prescription gaming glasses. In general, anti blue-light lenses borrow from anti-glare or anti-reflective technology. This technology uses multiple layers of metallic oxides that work to neutralize color coming into the eyes. Not all anti-glare and anti-reflective lenses protect against blue-light, however, which is what makes gaming lenses most appealing. Prescription gaming glasses specifically cater to those that spend hours in front of blue-light producing devices. While there are a few brands out in the market that make prescription gaming glasses, the most popular is arguably Gunnar Optiks. Founded in 2007, Gunnar designed and patented their signature amber tinted lenses to offset the harmful effects of blue light from computer screens. As we noted before, not all blue light is bad light. Blue light with shorter wavelengths (380-470 nm) is what is generally considered to be harmful, while that with longer wavelengths is actually beneficial and necessary for the eyes. This “good” blue light helps maintain our natural instincts (such as blinking when overexposed to light) and our memory. According to their website, Gunnar Optiks’s lenses are designed to “ shift the color spectrum for visual efficiency .” That is, they take the light coming from any screen, and essentially transform it through their lenses to work with the way eyes naturally function. Lenses from other brands tend to only block 10-20% of the bad blue light. Gunnar offers 2 main types of lenses. Their patented amber-tinted lenses are their most effective ones, since they filter out 65% of the harmful blue light from screens. The other option, the Crystalline lenses, block a lower percentage of harmful blue light, but are a fantastic alternative for those that are not huge fans of the signature amber hue. While this version is recommended for graphic designers and others who require colors to be obvious and clear, the lenses recommended for gamers and others regularly in front of screens are without a doubt the patented amber ones. All of Gunnar Optiks’s lenses are made in a specific wrapped shape that limits air currents to the eyes, which is especially useful for those that suffer from dry eyes. Studies have shown that people tend to blink about 60% less when in front of a computer screen. Thanks to the shape of these lenses, Gunnar glasses ensure that despite this decrease in blinking activity, moisture conditions are as optimal as possible. In addition to the obvious benefits for the eye, many gamers claim that prescription gaming glasses have improved their actual gaming performance. Gunnar’s high quality lenses reduce glare and sharpen vision. This, in turn, creates optimal conditions for gamers to stay on their toes with improved visual acuity. The lenses are also scratch resistant, so they are sure to last for years on end. Why Get Prescription Gaming Glasses? Many gaming glasses in the market are actually sold as non-prescription lenses, so gamers of all visions can help protect their eyes. However, if you are a person who requires corrective lenses, investing in a pair of prescription gaming glasses could be worth it, financially. Firstly, switching out a pair of regular prescription glasses for a pair of non-prescription gaming glasses effectively replaces one set of eye issues with another. Even with the benefits of anti-glare and tinted technology in the lenses, if you still struggle to view the screen in front of you, you’re likely to resort to squinting. With squinting, you are still subject to the headaches and dry eyes that you were originally trying to fix. Prescription gaming glasses ensure that your eyes receive the maximum level of care during gaming and other screen-interfacing activities. Secondly, you don’t have to be a gamer to consider prescription gaming glasses! Some studies have concluded that, taking into account our overall interaction with screens, the average person interacts with blue-light for a total of 8 to 10 hours per day. That’s practically a full workday! While protective lenses certainly make sense for gaming, they come in equally as handy for work and for spending time outdoors. Why limit the benefits of eye protection to a gaming console? Whether you’re looking for a pair of prescription lenses to accompany you during your gaming hours, or whether you’re seeking a pair to take with you throughout your day, the variety of prescription gaming glasses available in the market has increased significantly over the last decade. Whereas in the past, only a handful of frame shapes and sizes were available, retailers (and more specifically, Gunnar Optiks) have begun to incorporate more modern designs lately. 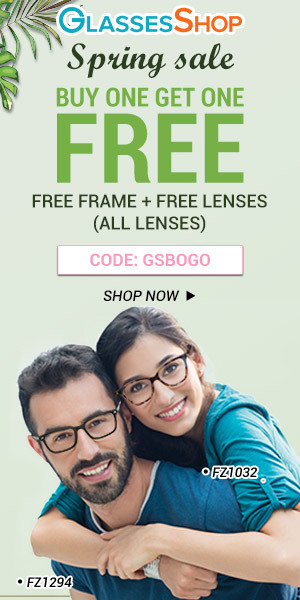 Additionally, these frames are good for both men and women. Their shapes are designed to flatter any face and style. See some of our other best reviewed eyewear, like the best non prescription glasses! A group of eyewear aficionados, we focus on providing content that is unbiased, credible and thorough. The products we recommend offer clear and valuable consumer benefits. We do receive compensation from the companies whose products we review and that you purchase using our link, but at no cost to you.